The Notes Report compiles all annotations with a document. When you create a Notes Report, you can accept the default information for the report title, headers and footers, and reference information, or you can customize the report using the Format Expression Builder. For further information on the Format Expression Builder, see Case Logistix online Help. In the Document List, select the document for which you want to create the report. On the Notes toolbar in the right pane, click the Print Notes icon. The Print Note Options dialog box is displayed. By default, the format options are entered for you. Type different options, if desired. For further information on the options, refer to Westlaw CaseLogistix online Help. Click OK. The report is displayed in a separate page in HTML format. 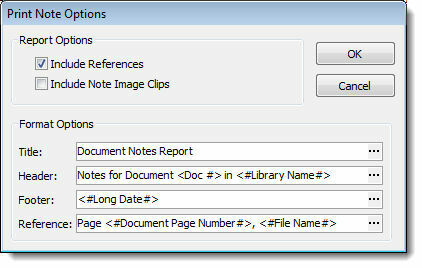 To print or save the Notes Report, in the browser, on the File menu, click Print or Save As. The History Report shows all activities for a document. 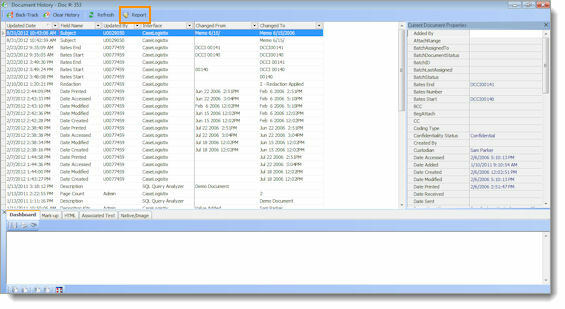 To create a History Report, click the Show Document History icon on the Navigation toolbar. The document history is displayed in a separate window. To print the History Report, click the Report button to display the Print Preview dialog box. Then click the Print icon. 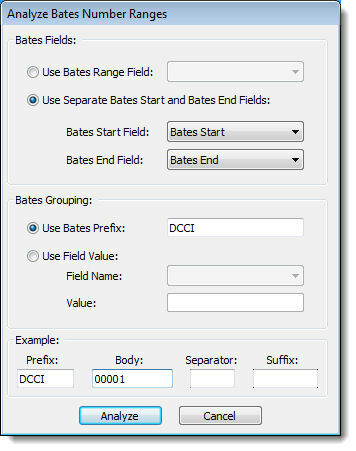 The Bates Analysis Report shows the gaps and overlaps in Bates number ranges within your documents. 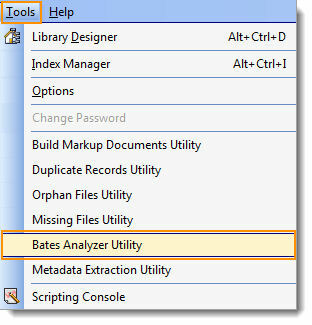 On the Tools menu, click Bates Analyzer Utility. 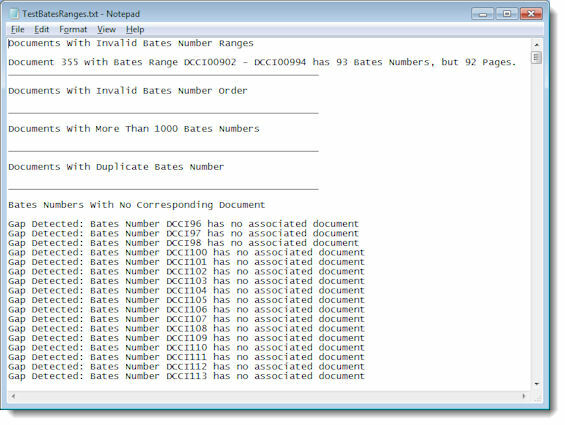 The Analyze Bates Number Ranges dialog box is displayed. Type your information in the appropriate text boxes. Click Analyze. The TestBatesRanges.txt file is displayed. To print the report, on the File menu in the text editor, click Print.